The â€œBASIC Phâ€ model of coping and resiliency, developed by Prof. Mooli Lahad and Dr. Ofra Ayalon, was the first to describe coping as an on-going effort to manage life challenges. This is the first book to be published on this world-renowned approach, widely used as an effective resiliency assessment, intervention, and recovery model. Underpinning the model is the suggestion that every person has internal powers, or coping resources, which can be mobilized in stressful situations; the effort to survive coming from a healthy rather than a pathological instinct. The categorization of these coping resources gives the model its name: Belief, Affect, Social, Imagination, Cognition, Physical. 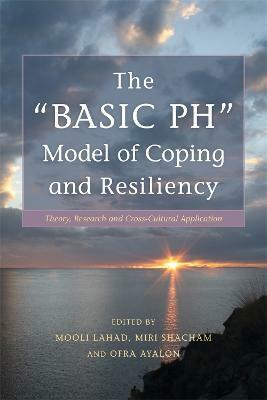 This edited volume outlines the theory behind the â€œBASIC Phâ€ approach, presents practice-based and research-based interventions and explains their application during and in the wake of both natural and man-made disasters. With wide-ranging chapters from authoritative contributors, the book shows how the â€œBASIC Phâ€ model can be successfully applied in family, community, education, health, and business settings. This will be an invaluable text for professionals, academics, and students with an interest in trauma and coping with crisis and disaster.